Review 3 games and receive a total of 40 positive review ratings. Sentinels of the Multiverse is an excellent card-driven game. Each player takes the role of a non-licensed superhero through a specific deck of cards. A villain is chosen, also played through a specific deck of cards. Finally, an environment in which the epic battle takes place is chosen, also played through a specific deck. Game play is actually quick and fairly simple. The Villain deck cycles and bad guys attack. The heroes get to draw a card, play a card, and use a power. Finally, the Environment deck cycles and effects occur. The devil, as they say, is in the details. The interaction between the Villain effects, Hero powers, and environment cards is where a fair amount of book-keeping is required. The goal is to get the Villain down to zero hit points before all of the heroes fall in battle. I suppose that given enough time, the game could be mathed-out and “solved”, but the puzzle-like nature of the game is dwarfed by the evocative and well-drawn artwork. The game was practically created to have expansions, as all you have to do is add decks of Heroes, Villains, and Environments. What Brings This Game to the Table? The hero decks do not change, so it is fairly easy to hand a new player a deck of cards and briefly describe the feel of that particular hero. Knowledgeable players will be able to pick the decks to give to which players, and which villains and environments to face. Play occurs fairly quickly, and everyone gets involved. There is a sense of helping each other out, and trying to cover for each other’s weaknesses. Victory! Good Sentinel games come down to the wire, with most heroes only having a few hit points left, and wins are exciting. What makes people *not* want to see this game again? Playing the *wrong* hero. There are a few heroes (like Visionary) that simply aren’t going to appeal to most players. For first time players, go with heavy hitters. There is a chance, as in most co-ops for “alpha player” syndrome; that is, one player impressing their decisions on other players. Let them do their own thing! Picking too hard of a villain. If playing with new players, don’t go foe the hardest villain in the box. Should I Buy the Expansions? There is a lot of game in the initial box. If you get at least 20-30 plays out of it and still want more, I would definitely consider purchasing an expansion. Each expansion adds exactly what you would expect: more heroes, more villains, more environments. The sets go in and out of print and are fairly cheap, start from the first and go from there. Monopoly Deal! is a fun little card game that tends to make gamer’s ears perk up. No matter what kind of gamer you consider yourself, chances are you have probably played the somewhat mediocre game of Monopoly. While this card game won’t take you days to complete a game, it is missing a feeling of completeness in the ruleset. The gameplay itself is simple. Each turn you play three cards from your hand, and draw two. When you run out of cards, you get to draw back up to five cards. There are only a few kinds of cards: Property, money, and action cards. The goal of the game is to collect three property sets from the popular board game. Money cards are used as a buffer to stop people from taking your properties through charging you “rent”. Action cards provide the “meat” of the game, and are also the source of some of my bad impressions. Let me say this first: the game is fun. There are moments of groans, and triumph, and generally the game last 15-20 minutes and then you want to move on to something else. It takes 2 minutes to teach the game, and set-up/cleanup is instantaneous. Basically the perfect filler. The bad taste in my mouth comes from a flaw in the rules. Whenever a card is played on the table as either property or money (and every action card can be played as money), it’s taken out of the game forever. Technically, every single card from the entire deck could be placed on the table with zero intereactions between players. There could be no winner. On the more realistic side, what happens if there is no quick vicotry is that all the property and money comes out of the deck. 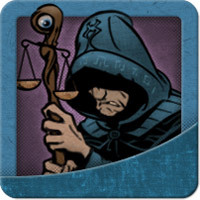 Then, the game becomes a search for the overpowered actions cards that instantly steals property or whole property sets. In summary: This is a fun game that perfectly fits its filler trope, but don’t look at this as any kind of game to think serious thoughts over. As a strategic board gamer, I love long, involved, and intense games. However, it can be hard to get friends together or make time for those lengthy gaming sessions. This is where Bohnanza, an early work of famed game author Uwe Rosenburg (Agricola) comes in. The game takes about 5 minutes to teach, and last between 30-40 minutes. I have personally played this game about 15 times. This game of “bean economics” has two major elements: set collection and dynamic social trading. The overall point of the game is to collect sets of beans, then exchange them for coins (Victory Points) at the appropiate times. Sets of beans are generally worth between 1 and 4 coins, depending on how many of the beans you have collected. First, you *must* plant the first (and can optionally plant the second) card in your hand. Your planning is hindered because you can’t change the order of the cards in your hand. On top of that, you can only collect two sets at a time (expandable to a third), thematically handled as your available “bean fields”. If forced to plant a new kind of bean in one of your fields, you must sell the beans you have collected thus far. Even if it nets you zero points. Second, you draw two cards and place them face up in front of you. You must either plant them in your own fields, or trade them away to other players. You may also trade card from your hand, clearing out the cards you don’t want in hopes of collecting the beans you are working on. This is the main focus of the game, as trading is the main component of the game and the key to victory. Finally, you add a few cards to the back of your hand depending on the number of players in the game. There are several things that make this game interesting play after play. First is the differing value of beans. It takes a few plays to really grasp the value of the beans, but over time you’ll find yourself agonizing a bit over which beans to plant. Second is the social dynamic that comes up between the player themselves. The trading is left open, so alliances, future trades, and backdoor deals happen naturally over the course of a few games. For me, this adds a huge fun factor to the game. The social aspect makes the game different with each group of people. Third are some of the minor intelligent design aspects of the game. a. The game ends when the deck had been completely drawn three times. It seems slow through the first run, but as beans are sold and become coins the deck thins and suddenly there is a rush to the finish. b. As the beans themselves become coins (the back of the cards is a picture fo a coin), groups of beans are permanently taken from the deck, changing the value of beans during each game. c. The beans themselves have simple, but memorable names. Each group of people I played with have their own nicknames for the cards. Overall, this a must-have for anyone that likes games you can play with anyone. It is a perfect game for “non-gamers”, fun to play drunk, and generic enough to not scare anyone away. Once early game has passed, it’s very important to decide on a methodology to feed your growing work force (that is, of course, if you paid attention to my first tip about growing your family!). I will focus on the two main sources: Bread and Meat. Other food sources are viable through smart play of occupations and improvements, but you of course can’t rely on getting a certain combination of cards. Bread is gained from obtaining grain, then using a baking improvement to prepare the grain into food. The main investment is time. Plowing fields, taking grain, planting, buying the improvements, and baking bread have to be interspersed with the other actions you need to take. The attraction of grain comes with the idea that your production grows with your family. By end game, if you could achieve both ovens and have enough grain, you could bake 13 food. Thirteen food in a single action is ridiculous! The challenges come from carefully selecting your actions to have food at the right times. – Remember that when you purchase an oven, you get a free bake action. Meat comes from animals. Mmmmm, they are delicious! Cooking your beasts, though comes with it’s own ups and downs. The major advantage of cooking animals is that it requires no time, your most precious resource, to produce the food. The downfall, however, is that the requirements to build fences, stables, and a cooking hearth will slow down your early game. There are also a limited number of animals in the game, and *everyone* wants some for their score. – Do whatever you can to make sure you will be able to breed at harvest time. The extra animals are vital for your success! – Remember that if all else fails, once you have a cooking hearth you can eat animals even if you don’t have room to store them. – Balance your use of wood so you can still expand your home, and thus your family, with your animal husbandry! I hope this helped you consider how you will feed your struggling family, and stop feeling so haphazard about your game! – A large number of tokens and tags to track damage and effects. – Dividers for the base game and all the expansions. This seems like standard fare, but remember this was a kickstarter project that took off. I am impressed with the publisher that they took the time to improve their already impressive product. When beginning a new game of Pandemic, a valuable game-saving strategy is to do whatever it takes to cure your first disease as soon as possible. With at least three players, you should have enough cards between the three of you to be close to curing one. Leverage your player abilities to do whatever you can to cure a disease in the first two rounds. This lessens the blow of infection cards, the chance of outbreaks, and even can reduce the severity of epidemics. Agricola is a game of “too much to do, not enough time to do it in”. You are battling your opponents for resources and constantly jockeying for the right timing to take the right thing. Whatever you decide to do with your beginning turns, always remember that it is *absolutely essential* to be ready to grow your family in Stage 2. The additional turns gained with family members are the key to victory against your opponents. Gaining a few more actions over them will give you the precious time you need to earn more points. Don’t delay in taking wood, thinking you will eventually get 6 instead. Experienced players are not going to let the wood build up; it’s useful whether you want to build more rooms, fence to encompass spaces, or fund many cards and improvements. The usefulness and availability of reed will vary depending on the number of players with 2 or 3, reed is very scarce as there are only 14 in the whole game. There is a little more with 4 and 5 players with the additional reed spaces. If you can get 2 reed early with one action, scoop that up! If you can manage, gain a little extra wood and build a stable or two when you build your first room on the path to victory! Do not ever underestimate the value of simply puchasing silver. While action cards can be very tempting, remember that you are generally limited to a single action every turn. Even if you are able to get a great turn and chain actions together, you need to be able to draw money to make those big buys. When in doubt, buy silver! This will enable you to buy gold faster, which in turn allows you to purchase Provinces, which allows you to control the overall flow of the game. Plan on purchasing 2 Silver (or Gold) for every action. Pay attention which cards are being cashed in during the game. As cards become coins, the rarity of the remaining cards alter their perceived value. While this is readily apparent for the very valuable beans like cocoa and garden beans, keep a rough track in your head of low valued beans, like wax and blue beans. Understanding what to plant when is absolutely key to Bohnanza, and understanding that the bean values change dynamically is an important part of your decision making process. I enjoy games from all areas of the spectrum, from themeless euro games to trashy american dice romps. I am not a huge fan of games that are complete luck-fests.